To take advantage of our exclusive bonus, simply open an account on Finpari.com by clicking on the link above. Our bonus offer will be automatically acquired. The platform used by Finpari is the very popular, reliable and feature packed platform designed by Spotoption, Spot 2.0. A clutter free, fresh and clear interface enables traders to place their trades in an environment that is not only user-friendly, but also easy to understand and learn to use effectively, while at the same time offering flexible and versatile added features that further enhance the trading experience. Besides the online version of the trading platform, Finpari has also taken into account the needs of traders wishing to trade on the go, through their smartphones and other devices, by having available a mobile application for use on their Android or Iphone devices from anyplace and at any time, always in a very secure environment. Moreover, and showing that it is responsive to the newer trends in the industry Finpari has the SpotFollow feature enabled, through what it calls “Follow the leaders” allowing its clients to take full benefit of the advantages offered by social trading and giving them access to the trading history and patterns of thousands of other, successful traders, the choices and success of whom they can copy and replicate in order to gain equally good results. Besides the traditional call/put binary options trading, clients are spoiled for choice on the Finpari trading platforms since they can also place their trades on a wide range of other types of trading. 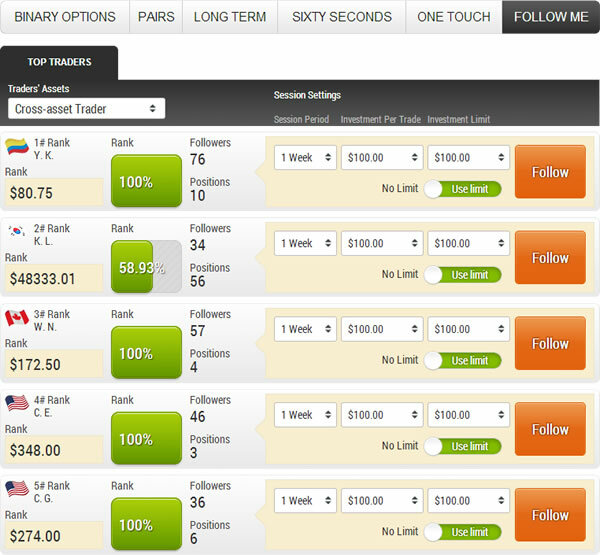 These include long term options trading, sixty seconds trading leading to instant results, one touch trading that promises very high payouts if one is willing to assume the extra risk involved, as well as the more innovative pairs and ladder options types, with the former entailing the choice of two assets attempting to predict which will outperform and the latter allowing the building of a trade in a more flexible manner. 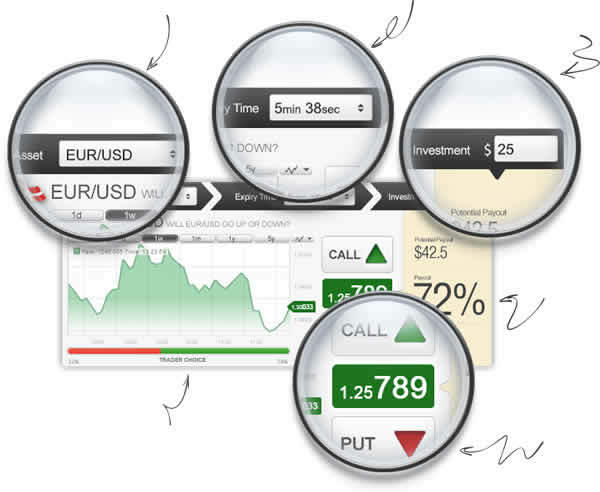 Traders can also utilize the many added features and tools offered to them by the Finpari platform, such as charts and other indicators, while they can manage each trade more effectively this increasing their chances for success and profit making, through the early closure of a trade to cut losses or minimize risks, the Rollover tool which delays the expiration time or the Double Up tool which allows one to double his/her position. Finally, for certain types, clients also get the opportunity to trade during weekends when markets are closed. The tradable assets menu available at Finpari features over 100 different assets from all the four main assets categories, namely forex currency pairs, indices, commodities and stocks, with the indices and stocks offerings being especially rich and wide. The range of tradable assets available allows all traders to be able to locate the asset or assets that best fits their own needs, skills, requirements and investment profiles and combined with the various trade types available means that both novice and more seasoned traders have good chances of making successful, profitable trades. Finpari offers traders three different trading account types to choose from, plus an added option of a Fixed Income Account, giving investors a pre-defined and stable rate of return. The first account type is the Bronze account, which has a minimum initial deposit amount of 250$ and offers its holders, besides full access to a demo account and a very helpful trading course, an extra bonus of 20% on the initial deposit amount. The second account type is the Silver account, which requires an initial deposit of 1000$ and offers its holders all the benefits of the Bronze account plus access to a master class and with the added benefit of the first three risk free trades, while the bonus for the Silver account rises to 50% of the initial deposit amount. The third account type is the Gold account type, which is reserved for those traders willing to commit at least 3000$ as an initial investment amount. On top of all the benefits of the Silver account, the Gold account comes with a bonus of 100% on the initial deposit amount, plus a Swiss prepaid card and an individual account manager who is always available to advice and assist the trader in managing his/her Gold account. Perhaps the greatest advantage of Finpari as a broker is the fact that is offers a guaranteed withdrawals processing within just 1 hour, irrespective of the account type that the trader has! This is a very attractive and appealing offering if one considers the lengthy and complicated procedures that are often required by other brokers. Moreover, Finpari prides itself of the wide range of funding and withdrawals methods available, which include the Visa and MasterCard debit and credit cards, Paypal, many e-wallet services, such as Webmoney, Qiwi wallet, OKpay, Perfect Money and Netteller, while the broker also accepts the more traditional banking method of a wire transfer. The minimum bet amount per trade on the Finpari platform is 1$ (or €), and the maximum is 1500$ (or €). The minimum deposit is 250$ and the maximum is 50000$, while there is no minimum amount for requesting a withdrawal. The Finpari website is available in English, Russian and Thai, reflecting the broker’s focus on the Russian and Asian market. More language options would have perhaps meant a great potential client base, but since English is so widely spoken this could be argued to be compensated. A quite detailed and comprehensive FAQs section of the broker’s website gives answers to most questions a potential or existing customer may have, but in case one cannot find a satisfactory reply to a query in this section, then the customer support department is available on a 24/7 basis, ready to help and guide all traders through their trading experience. 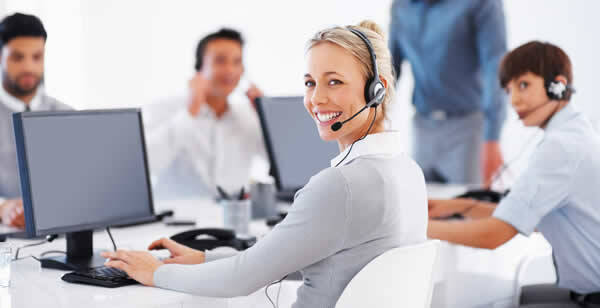 The customer service department can be contacted either directly via live chat from the website, by sending an email or by phone, since Finpari offers customer support via 6 local phone numbers in different locations, namely in the UK, Russia, Hong Kong, Thailand, Singapore and Australia. Customers can also benefit from the education center offered by Finpari, which contains not only an introduction to the basics of trading, but also very useful video tutorials which deal with almost every aspect of the trading experience, aiming to make it as successful as possible. Moreover, for holders of the Silver of Gold trading account, Finpari also offers them the opportunity to receive a personal training both in theory and in practice by a true professional in the field, Abe Cofnas. Finpari might be a relatively new entrant in the retail online binary options scene, but it appears not to be lacking any of the features offered by the longer established brokers, while it also demonstrates an enthusiasm and energetic approach towards enhancing the trading experience for brokers of all skill levels, that is both promising and welcome. Having already gained a solid client base, especially in its focus markets in Russia and Asia, and with more than 10000 trades executed every day, Finpari seems well in its way for further expansion and success in the fiercely competitive field of binary options trading and it does merit getting a chance to become your preferred broker. I trade with Finpari almost 2 month, I would highlight 2 things: very interactive customer support with fast reaction and PayPal! Never seen binary broker with PayPal deposit facility. What is Platform? Why we need the platform ? FINPARI COMPLIANCE VERIFIED AND APPROVED MY DOCUMENT, THEY SENT AN EMAIL TO THAT EFFECT, STATING MY DOCUMENTS HAVE BEEN VERIFIED AND APPROVED. IT WAS MY NIGERIAN NATIONAL IDENTITY CARD I SENT, IT SHOWED I AM A NIGERIAN, YOU VERIFIED AND APPROVED IT, AFTER TRADING FOR DAYS AND MADE PROFIT BECAUSE I ASKED FOR WITHDRAWAL ON WEDNESDAY FOR $347, IT WAS APPROVED, I ASKED FOR THE A WITHDRAWAL FOR $500 THE FOLLOWING DAY(YESTERDAY) AFTER TRADING SUCCESSFULLY AND THATS WHERE THE STORY BEGAN, TELLING ME – “Unfortunately due to regulatory restrictions for operations in Nigeria, we have to terminate your trading account. Based on terms and conditions, all trading activity was canceled and invested trading deposit was returned back to your account. As soon as operational ban will be removed for your location, you will be notified” .. ALL THESE WHEN I STARTED MAKING PROFITS, AND BECAUSE OF THE FACT THAT I ASKED FOR WITHDRAWAL TWO DAYS IN A ROLL. THEY WANT TO KEEP MY PROFITS AND ONLY SEND MY DEPOSIT OF $250. NEVER!!!! 1. I READ THE TERMS AND CONDITIONS BEFORE REGISTERING, NOTHING OF SUCH WAS STATED IN THE TERMS AND CONDITIONS, I HAVE TAKEN ALL SCREENSHOTS OF THEIR TERMS AND CONDITIONS FROM A – Z INCASE THEY WANT TO QUICKLY RE-EDIT TO SOOTHE THIER CRIMINAL ACT. 2.FINPARI COMPLIANCE VERIFIED AND APPROVED MY DOCUMENTS(NIGERIAN NATIONAL ID CARD THAT SHOWED I AM NIGERIAN) BEFORE I WENT AHEAD TO DEPOSIT. WHY DID THEY APPROVE THE FIRST WITHDRAWAL IF THEY DONT ACCEPT NIGERIA, WHY IS IT THAT, WHEN I REQUESTED FOR ANOTHER WITHDRAWAL THE NEXT DAY THEY ARE COMING UP WITH THIS, ESPECIALLY BECAUSE THE AMOUNT IS BIGGER THAN THE FIRST? 3. WHICH REGULATORY RESTRICTIONS ARE THEY TALKING ABOUT? THEY SHOULD SEND MY $1146.37 AND STOP SCAMMING PEOPLE THEIR MONEY..
DONT TRADE WITH THIS BROKER, THEY ARE THIEVES, YOU WONT GET YOUR PROFITS.. THEY ARE SCAM, UNTIL THEY RETURN MY FULL MONEY $1146.37 THEY ARE SCAM AND THIEVES..
hi Osa , but u asked , just let us know ” I ASKED FOR WITHDRAWAL ON WEDNESDAY FOR $347, IT WAS APPROVED,” that’s your first withdraw but did you get your withdraw the first one ? Britney, my withdrawal $347 was approved, my $500 wasnt approved and i have $1146.35 in my account, my initial deposit + my profits..
Antonio, i am from Nigeria..
Everyone should stay away from this broker, they are criminals with no identity..
Osa, are You from USA? 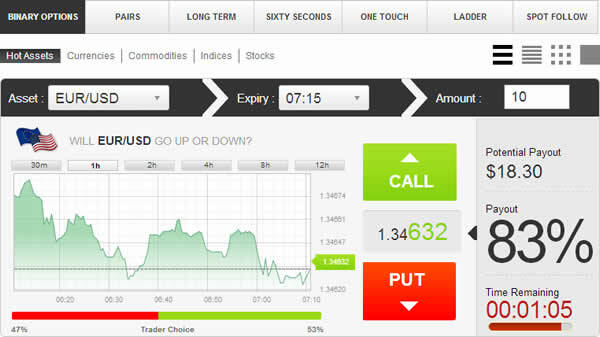 I’ve heard a lot of USA traders are now blocked around different Binary Options projects. Anyway, good for You- got Your deposit back and even $100 profit. STAY AWAY FROM THIS CRIMINALS. FINPARI ARE BIG THIEVES. MY $12K . I AM GOING AFTER THEM WITH ALL LEGAL TOOLS TO GET MY MONEY. Please, be careful to trade with FinPari. There is some kind of scam withdraw policy. I met several Binary Broker, but they said, there is no any restricted withdraw condition. The FinPari just allow 35/40% withdraw amount for the deposit amount. Example) When I deposit $250 and make profit up to 1000K, I can withdraw only $100 for the $250 deposit amount. It is not for in my balance 1000K. I would like to share with you. So, I put this email which received from account manager from Finpari. I would like to his name and skype ID. Your profit would be between 35/40% of your deposit. (for example :you deposit a 1000 you get a profit of 350/400 $ a month) . you can withdraw your profit any time you want. to withdraw your deposit you need to make 1 time the turnover. if the turnover condition is not met and you still want to withdraw then a 20% charge will apply. Thank you, looking forward to speak with you soon! Regards, your personal account manager,Keenan. As for our Nigerian trader- we have detected some fraudulent actions from his side, so he received his full deposit+ profit and his account was closed. As for Morgan- we have never had trader that were not paid their money. Please get back to us to solve this “problem”. Unfortunately due to regulatory restrictions for operations in Nigeria, we have to terminate your trading account. Based on terms and conditions, all trading activity was canceled and invested trading deposit was returned back to your account. As soon as operational ban will be removed for your location, you will be notified”}.. Cease this opportunity, to tell the world that you are honest by showing proof that have sent my deposits and my profits..
Morgan, and please provide proof of $12k ever deposited. We were not able to find such a trader, as You. @finpari . I guess i have issue with withdrawal too. After I requested for withdrawal I was taken off the chat. I now can’t access chat and no one answered my email. Is this the usual situation with your platform? Please explain better to me. Why was my comment removed? Is the owwner of the site supporting Finpari. They are true scamming people for sure. I couldn’t believe this. Your Comments are a really important part of why BinaryOptionsWire.com has become successful. We consider Feedback and additional information through comments a life-blood of our binary options guide. You need to be able to understand how comments work, if only to try to prevent the annoyance that is comment spam – unwanted comments often advertising unrelated services. We dont choose or being in favour (or against) any broker. We do try to be as unbiased as possible. Your comment was not removed. “Your comment is awaiting moderation”. This means that the comment is not visible to other visitors of the site until it has been approved by a site moderator. Nancy, it was on your website i saw finpari, read the review and click the link from your platform to register… Tell them to send my money.. I have done a charge back with my credit card company as regards my initial deposit of $250 which they also refused to send.. plus my profits.. i have proof of everything.. They came on your website to lie they have sent my money to me, imagine the lie? tell them to show a confirmation copy of the money that was sent to me.. i took screen shots of all the deposits and withdrawals(pending) in my account before they close my account.. I am really sorry hearing all these. I understand it must be really frustrating. You will shortly recieve an email from our department that is dealing with that kind of complaints and investigations. And i promise you that we will do everything in our power to investigate and help you if we do have that possibility. You still wear the nerves to tell me you cant find my account,. CFTC has warned about binary options.. I have taken advise from my lawyers on how to proceed. Hi Nancy, I am still waiting for response..
Finpari is the latest addition to the world of binary options trading. The utmost attraction for this broker is the Spot Follow tools. It is a trading feature that allows traders to copy other successful BO traders trading strategy. I have recourse to this option and it gave me at least 90% above average profit I make in a day trade. No other social trading sites could give you an offer like that. Thank you guys for the comments, will not be using Finpar! FINPARI is SCAM and only SCAM — FRAUD — ATTENTION!!!!!!! thank you very much …. I was Pundo to invest my savings, but thanks to your information I will not. I have also requested a withdrawal. I didn’t read the information carefully and that is my fault. I didn’t know that I would have to have $5000 worth of trades to withdraw my original $250 investment and profit. I have requested to withdraw all my funds and pay the 20% fee for not meeting turnover requirements. I called and emailed today to request this withdrawal. I will keep everyone up-to-date as to my success. sounds like finpari is really crappy? I was really about to use this broker. And im from nigeria. They are taking advantage of nigeria’s bad name to to deal. Well one thing i can say of them is they have affiliates that gives them glowing reviews all over the net. Kudos to this site for allowing comments from real traders. But its also dumb of finpari allowing things to escalate this far for $700, the bad publicity it generates is worth at least 20k in the making. Trust is everthing in bo. If a broker will keep all the money i loose, then I also expect it to have the decency to pay me if i win. Too bad i had hi hopes for this broker.